Judson was named a 2017 Military Friendly School by G.I. Jobs Magazine and is a supporter of the Yellow Ribbon Program for veterans. 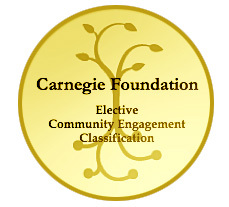 Judson College received the Community Engagement Classification from the Carnegie Foundation for the Advancement of Teaching in 2015 (5-year classification). An “elective” classification in which institutions submit applications describing the nature and extent of their service to, and engagement with, the community, the Community Engagement Classification recognizes “collaboration between institutions of higher education and their larger communities for the mutually beneficial exchange of knowledge and resources in a context of partnership and reciprocity.” Judson is the only private college in Alabama (and one of only four institutions in the state) to hold the Carnegie Community Engagement Classification. The College was originally classified in 2008. Judson was named among America’s Best Christian Colleges by Institutional Research and Evaluation, Inc., an independent research organization specializing in recruitment and retention of college students. The Best Christian Colleges list identifies American colleges and universities providing students the highest quality education in a Christian environment.